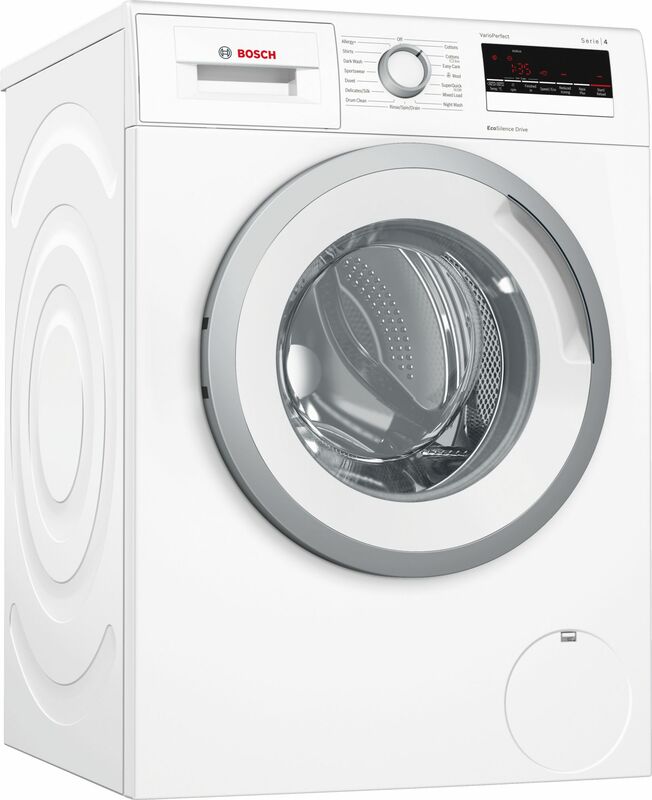 Automatic washing machine with EcoSilence Drive™: quiet operation and durability that you can rely on. Easy operation with LED-Display and convenient control dial. Noise Level 55dB/76dB: quiet washing and spinning. ActiveWater™: saves water and costs thanks to a 2-step automatic load adjustment system. Reload function: Flexibility in adding laundry items into the drum, even after the wash cycle has started.